Her hair was strawberry blonde, and she had the shape of a Popsicle stick: turn her sideways and she practically disappeared. When I was a kid growing up in the sweaty haze of the summer heat in Fresno, there was nothing better than an ice cold Popsicle. It was all sugary, sticky goodness, dripping down your fingers and resulting in the inevitable fruity brain freeze. Whatever your favorite flavor was, be it orange, cherry, or grape, you could almost tolerate the sizzling sun when you had a juicy treat in your pool-pruned hands. My mother used to buy the double-stick pops because you could break them apart for two portions. I don’t know what she was thinking because between me and my sisters and the forty-seven neighborhood kids, there wasn’t a lot of sharing going on. Hmmm, maybe that’s why she always had several boxes on hand…smart lady, my mom. There’s a lot you can do with Popsicle sticks, just check out the internet. You can make everything from picture frames to plant hangers, clocks to coasters, and bracelets to birdhouses. But one thing you probably shouldn’t do with those sticks is fashion a makeshift splint from them, slap on some duct tape, and wrap up a little dog’s injured leg. Because, unlike the Popsicle itself, that is not cool. Which is how Animal Rescue of Fresno ended up with our own “Popsicle,” a four-month old terrier mix, who lives up to her sweet namesake. She was taken in by a Good Samaritan who noticed her being abandoned in a parking lot by a homeless person. After taking the poor pup home, the Good Samaritan noticed her back left leg appeared to be broken, and proceeded to make the aforementioned splint. 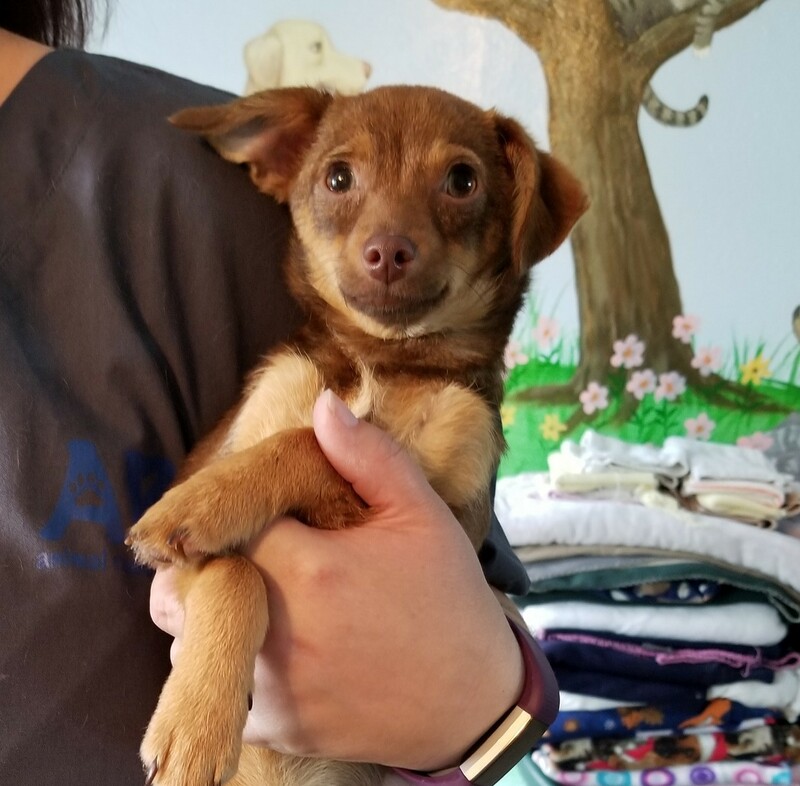 A few days later, Popsicle’s rescuer decided it would be best to bring her to ARF’s facility, where she was christened with her very fitting name. Unfortunately, the homemade splint did more harm than good, and proved to be extremely difficult to remove. 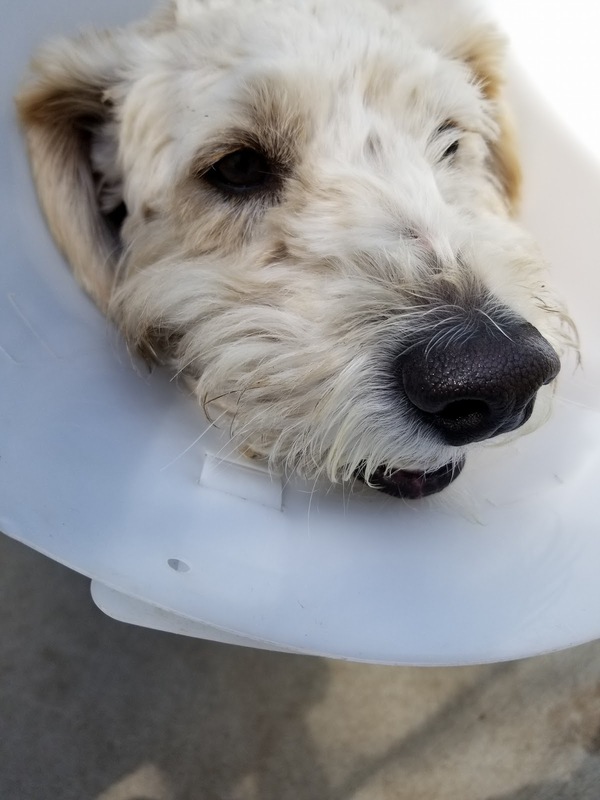 After an initial visit to the veterinarian, it was revealed that Popsicle’s injuries were much worse than we first thought. She actually had a broken leg, hip, and pelvis, which would explain why she was unable to put any weight on that back leg at all. 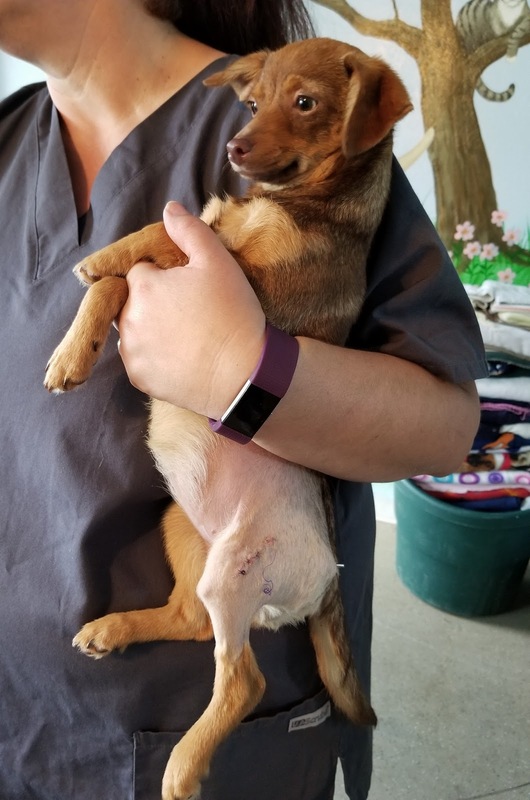 Originally, it was assumed that this unfortunate girl had been hit by a car, but the vet claimed the trauma was more than likely caused by being kicked or stomped. We have no actual proof, but either way, it’s a lot of trauma for such a young dog. If it was the latter, I hope Popsicle got in a few choice chomps to the ankle. Popsicle has already undergone her first surgery, where her leg was repaired, straightened, and then secured with the placement of pins. I can tell you from firsthand experience, she is NOT happy with her three-week recovery period so far. Especially since she’s confined to a kennel in the office, unable to play with all the other critters outside. 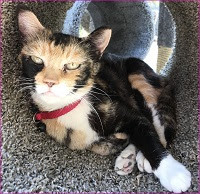 She may sound like Cujo in a cage, but all Popsicle really wants is attention and someone to take her out for a nice long cuddle. As soon as she’s nestled in the crook of your arm, her head buried beneath your chin, she transforms into Toto. After Popsicle heals, she’ll have her second surgery, a Femoral Head Osteotomy (FHO). FHO is the surgical removal of the head and neck of the femur. Simply put, it’s the removal of the “ball” part of the ball-and-socket that makes up the hip joint. This procedure will align the leg back to her hip correctly, and allow her to actually walk again. So between the two operations, Popsicle’s looking at a good two months for a full rehabilitation. It’s going to be a long haul, not only for the patient, but for us volunteers as well. It takes a village to care for a dog in recovery, ensuring they have food and water, clean potty pads, blankets, toys, and lots of TLC. And treats, lots of treats. Hmmm, in this case, maybe a Pupsicle for the Popsicle? For those people needing a little magic in their lives, finding a modern-day wizard is about as easy as finding the hidden Joker in a deck of cards. A simple solution is to head on over to ARF, where you’ll find “Merlin,” our very own Sorcerer’s Apprentice. Merlin is a fluffy Poodle mix who came to us back in February. He’s another dog who originally belonged to a homeless person, was taken in by another rescuer, and eventually brought to ARF. Merlin was a bit of a matted mess when we got him, but after a much-need grooming, he actually resembles a dog, instead of a an overgrown sheep. Beforehand, his coat looked like a batch of cotton balls had exploded, all tangled in a jumble of dirty white curls. In a perfect world, every dog would have a home, every day would be a perfect 78 degrees, and Animal Rescue of Fresno would have a million dollars in the bank. Unfortunately, too many dogs are homeless, summer in the valley is like Death Valley, and ARF runs completely on volunteers and the kind donations of our supporters. 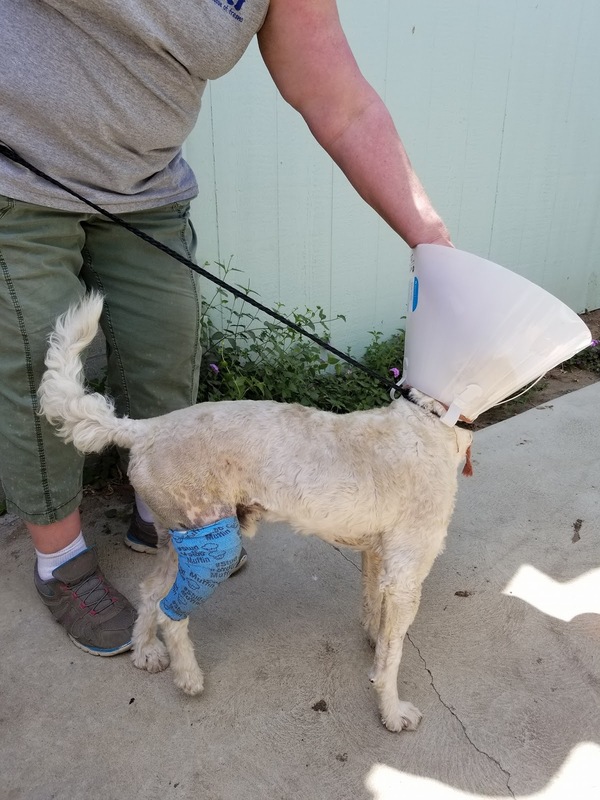 Popsicle and Merlin’s surgeries are probably going to run ARF around $1000 apiece, which means we could really use some financial assistance in getting these two deserving dogs, literally, back on their feet. We want all our animals to be healthy and in the best shape possible before finding their forever homes. It’s going to take awhile before Merlin and Popsicle are ready for adoption, but feel free to come out and meet them during the healing process. I can truly promise that Popsicle will melt your heart, and Merlin will cast his spell on you. 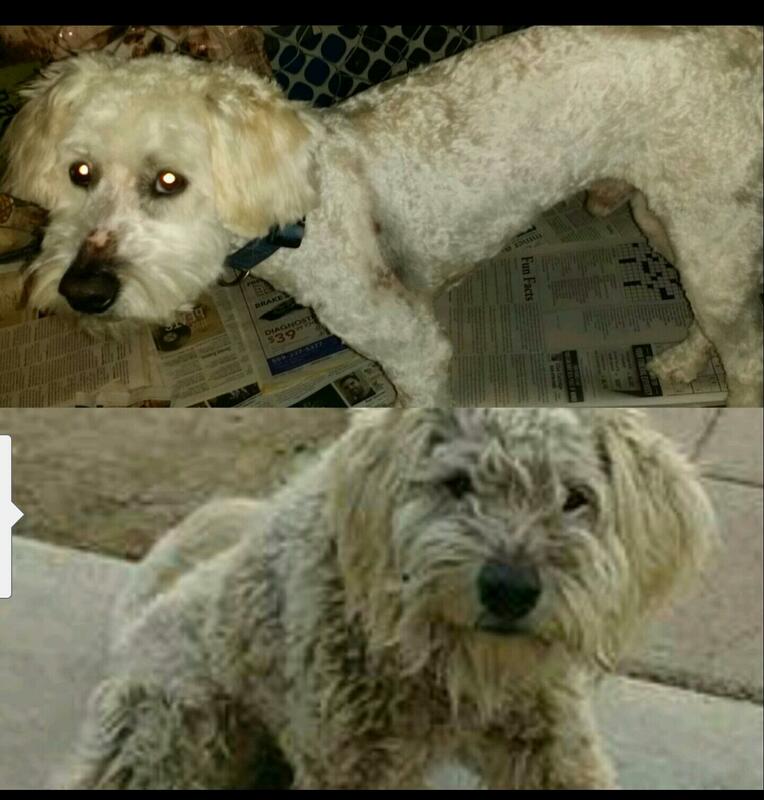 If you would like to help Popsicle and/or Merlin, please visit our website. Click How Can I Help?/Donate/Write a note (to add the dog’s name). ARF thanks you in advance!